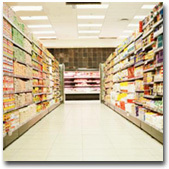 We provide a wide variety of products – from audio tapes to waffle mix. If you need it, chances are we have it, and if we don't, you can count on us to find it for you. Our strong purchasing power enables us to provide these products to you at extremely competitive prices. By partnering with DP Distribution you are guaranteed two things – unparalleled customer service and exceptional pricing. © 2007 DP Distribution, LLC. All rights reserved.